The NTDA has developed programs designed to meet the specific needs of its membership. It goes without saying that to succeed in today’s fast-paced business environment, you need the right knowledge. Education is the secret to staying on top of the trends and ahead of your competition. The NTDA helps you do just that with Webinars and Seminars on topics like, Developing a Social Networking Strategy, Fraud Prevention; Federal Excise Tax, Regulatory Changes, Healthcare Changes, and more. The NTDA’s Annual Convention is another opportunity that focuses on the industry’s most pressing issues. The NTDA’s Annual Convention is one of the best ways to stay in touch with your current dealer network or to forge relationships with new ones — all in one great resort location. Whether you are entertaining prospective dealers at the annual NTDA Golf Tournament or during one of the Convention’s receptions, you’ll have plenty of opportunities to make new business connections. And, at costs considerably less than you would find elsewhere, NTDA’s educational efforts ensure that you will have the understanding to make the smartest business choices. Throughout the year, members are invited to Networking Receptions held in conjunction with industry trade shows and events in the U.S. and Canada. Members use the NTDA’s Membership Directory and Web site to stay in touch or to make new contacts all year long. Members of the NTDA have access to a wide variety of print and electronic resources, filled with the information that trailer dealers need to succeed. To gather this quality and range of vital data on your own would be nearly impossible — too costly and too time-consuming. As an NTDA member, this information is not only at your fingertips, the majority of it is free to your dealership and branch locations. Members have unlimited access to the Association’s free Federal Excise Tax (FET) Compliance Hotline for assistance with questions relating to FET applications, importing and exporting, sales to government entities, installation of trailer accessories, tire tax credit, and more. 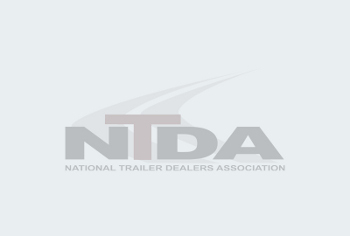 NTDA.org — the world of resources for trailer dealers at your fingertips. The NTDA offers additional services, including an annual scholarship award to one or more graduating high school seniors whose parent is an employee of a member company. The NTDA is constantly developing new member programs to raise the level of professionalism among members and the industry as a whole. Additional resources are available from the NTDA, including manufacturer operating benchmarking survey reports; online resources; and links to federal standards, CARB statutes, regulatory compliance, and much more.